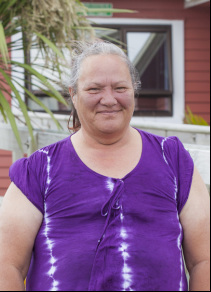 My role is to manage and coordinate holistic health services at Manurewa Marae ensuring that the services we deliver are of a high standard, are culturally appropriate and meet the needs of our community. 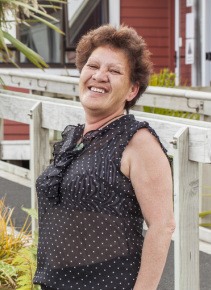 I have worked at Manurewa Marae for over 8 years supporting the Marae in creating a community hub of whanau ora services based at Manurewa Marae, where whanau can come and access the services they need. One of the most rewarding aspects of my job, is working with such a passionate team of traditional healers and clinicians who all focus on the kaupapa of creating positive health changes for our community. Together we have been able to design a Whare Oranga that allows whanau to utilise a smorgasbord of therapies to support them with their health choices. Working in such a holistic environment with our Maori community, has inspired holistic concepts and initiatives that continually push us to strive for the best. To be part of such an exciting kaupapa, where everything is so real, the focus never sways from the priority always being the whanau, reminds me of how blessed I am to be working with such a great team, upholding the practices of our ancestors in todays world. My role here is Service Coordinator of the Rongoa Maori Services. 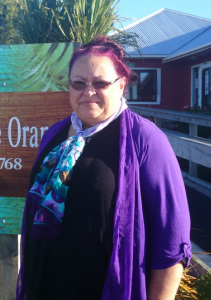 I am the face of the Whare Oranga meaning the first port of call for whanau when they come in. My job is to assist and guide whanau through to the areas of Taha Wairua (Nga Rongoa Maori), Taha Kikokiko (Western Medicine), Manaaki Whanau (Whanau Support Services), which is a beautiful balance here in the Whare Oranga. I am very blessed and grateful to be able to serve our community and whanau in such a unique environment. Ko Te Whānau-ā-Apanui me Te Arawa me Ngai Tuhoe hoki nga iwi. 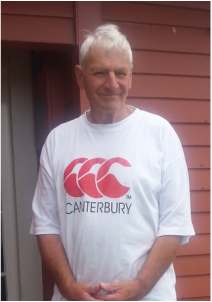 Kia Ora Koutou, I am very privileged to be the Operations Manager for the clinic at Manurewa Marae. I am tasked to support the day to day running of Whare Oranga alongside the General Manager Lorraine Byers. 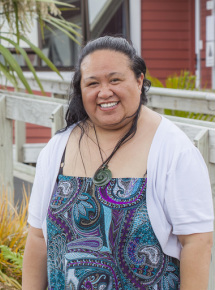 I am very exciting to be working in a unique holistic environment, which has enabled me to witness first-hand positive changes for whanau in Maori Health and wellbeing within the Manurewa community. I te taha o toku Matua no Kotimana/Irish ia. I am proud to be Māori, working for and with Māori, in such a diverse community. I will complete a Bachelor of Health Science (Standard Health Pathway) by the end of 2015 and graduate in March 2016. I have 7 children and 13 grandchildren and enjoy the time I can spend with each one of them. Families can be together forever is my motto. I am grateful for the opportunity to work alongside such passionate and dedicated people who have a positive vision for this community. I look forward to engaging with each and everyone of you in this community. 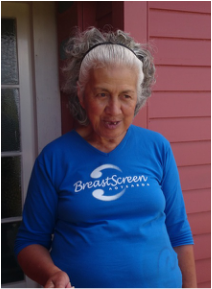 I have been working as a healer at Te Manu Aute Whare Oranga for four years. It is a taonga (sacred gift) handed down from generation to generation in my whanau. I have been gifted with the ability of seeing and hearing those that have passed on. As a child of seven I began seeing wairua (spirits) and through the years of growth, I have been able to utilise this gift to help others find themselves and also move on from the hurt or pain of losing loved ones who continue to watch over the families in the spirit form. My gifts also help whanau connect to Io (God) so that they make the most of their life while they have this time on Earth. I am overwhelmed and blessed to be able to help people who walk in, heavy with sadness or the weight of the world on their shoulders, to walk out of the room like a bird or butterfly ready to take flight, from closing old doors and opening new journeys. Mauri Ora. Doing mirimiri (massage) and matariki (wairua) healing helps people get rid of their hurts and their burdens that they carry, and is often more effective than the pills prescribed by doctors. Been doing this type of work for over 40 years - healing & sight. My wife and I always had people come to our home by word of mouth. Because of my children being young, many came for healing and group classes - old and young, no color bar. We never turned them away. I lose count of the many people who have passed through our front door, 'seeking' the knowledge and uplifting ways the wairua works through us. Our children grew up with this knowledge seeing all things within our home that it was natural for them and they weren't afraid of it. Helping people with ailments and those seeking knowledge is what I do. Helping them to understand what's wrong and correcting is another. I am just the mouth piece for the unseeing, or wairua. I hold a diploma in Acupuncture and Microsystems; Certificates Su-jok, Nada Auncular Treatment, Byol acupuncture, Qi Gong & Tai Chi Practitioner, and hand/feet manipulation,Chromotherapy and Polarity treatments. I graduated in 2008 from the New Zealand School of Traditional Chinese Medicine. I have worked as a student and practitioner at Manurewa Marae for now, nine years. Trained in the thoughts and theory of Chinese medicine a great understanding of pathological accounts of a disease, also versed in other forms modalities used to remedying all types of diseases Cancers, Diabetes, TB everything you name it i have worked on it I have worked successfully with all different ailments with all types of people. I am practicing an art that has been contested and debated for over three millennium by the Chinese people and now I am happy that I have a place to express my passion, and showing that this art does hold merits for our people all peoples. I hope that in the future there will be more Maori working in all types of medicine. I te tau 2005 i hoki ahau ki te kura, Te Kura Ngira - New Zealand School of (Traditional) Acupuncture & Traditional Chinese Medicine - e toru nga tau i Kura ahau. 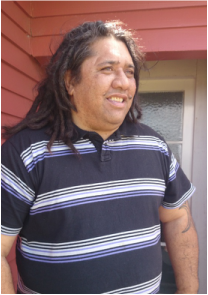 I te mutunga ka whiwhi ahau i te tohu Microsystems Diploma of Acupuncture - Microsystems Level 7. Mai Tera waa, e mahi ana ahau ki te marae ki Manurewa - Ka tungia Te Manuaute Whare Oranga ki te Marae. Ka mahi ahau ki te Whare Oranga. Ko maua ko Billy Te Piri Astle e mahi ana Su Jok i Te Whare Oranga. He mahi atu taku ko te mahi awhina. Mei ka inoi mai he pononga e pa ana ki te wairua mama no iho. Te tuku te reo whakamoemiti ki nga Ariki mo ratou. 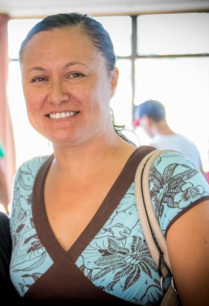 Tama, Wairua Tapu me Nga Awahera Pono, ko Te Mangai hei tautoko mai kia tuuturu pumau aia nei, akenei, ae. 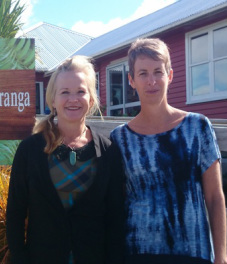 Janine and Rebecca are committed to offering homeopathic health care to the community at Manurewa Marae. We want to share our knowledge and experience - the holistic environment at Whare Oranga means that we are able to offer a safe, natural and effective system of medicine, with no toxic side effects, to the people of Manurewa. Homeopathy can be used to treat a wide range of illnesses and most importantly, good treatment raises the whole level of a person's health and wellbeing. Typically we treat anything from coughs, ear infections, skin problems and stomach disorders to hormonal disturbances, anxiety, depression and children's behavioural issues. We are also interested in a pilot study of how homeopathy can help with obesity. Anyone interested in this please come and see us. Rebecca qualified as a homeopath in 1994 and has wide and varied experience. Most recently, she has just returned from East Africa where she worked as a volunteer homeopath for three months. This provided new inspiration for her work as a homeopath. Janine qualified in 2000 and has since worked at the Howick Homeopathy Clinic. Both of us recognise how homeopathy offered our families a healthier and more natural start in life and we want to extend this to whanau in Manurewa. It is important to acknowledge all those who have assisted me in understanding this sacred mahi – Preparing and administering Rongoa Māori and the wholistic approach that is all aspects of wellbeing are considered for the restoring of wellbeing. There are many who have been part of my journey in Rongoa Māori. Ngā mihi maioha ki a koutou. My early background started with Nursing in Australia and then spending one year in Northern India and amongst the Tibetan people in the foothills of the Himalayan mountains where I was exposed to both Aryuvedic and Tibetan Herbal Medicine. Prior to that I embarked on Naturopathy studies at the South Pacific College of Natural Therapies. Growing up with large vegetable gardens and my mother’s natural affinity with the whenua (land) and moana (sea). It was early childhood experiences of kai from the garden of Tangaroa and garden of Papatuanuku that I quickly developed a love of growing herbs for healing and preparing them in simple infusions, decoctions and poultices. It seemed natural to me that you would turn to our earth mother first and seek what herbs and native plants were available for healing as part of the plan to restore wellbeing. I love to prepare rongoa for those who are seeking a complimentary natural medicine to assist in their healing journey. Consultation of what is most suitable is necessary. I make native plant medicines from both fresh and dried plant material. I teach balm making and traditional Maori practices about harvesting, preparing infusions, decoctions and poultices. 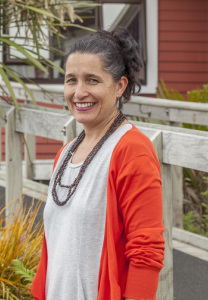 Dr Ranche Johnson grew up in Auckland and trained at Auckland University and Middlemore Hospital. She spent 2 years in Papua New Guinea doing general practice (and treating malaria and delivering babies), and then 2 years in the UK where she gained a Diploma in Child Health. Back in New Zealand she qualified in General Practice while working in South Auckland, then continued working in General Practice in Mission Bay. She is married with 4 children. I am married and the mother of 2 fantastic teenage girls. I have been nursing for over 20 years and recently achieved my Masters of Nursing. I feel privileged to work here at Te Manu Aute Whare Oranga, being able to share my knowledge with such a fantastic community. I enjoy seeing patients from all ages but specialise in diabetes and lung diseases, especially those from smoking. As a Nurse Prescriber, I have completed my advance training allowing me to assess and treat common illnesses, delegated under the Medicines Amendment Act 2013. 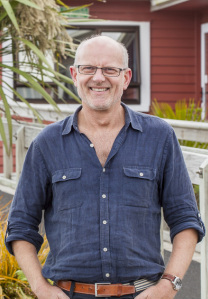 I moved to New Zealand, from Scotland 6 years ago to work in Auckland in General Practice. Having trained in General Practice in the UK in 2007, I have also achieved Fellowship of the Royal New Zealand College of General Practice. In my spare time I am studying at Auckland University for a diploma in Public Health as I strongly believe that, as a country, we should be better at preventing ill health. I enjoy all aspects of General Practice but I especially enjoy the privilege of getting to know patients and their families. Life unlimited is the provider of this free service. I provide screening hearing tests for adults (anyone over the age of 16 years); assess your hearing needs and work with you to address these; teach strategies and skills to manage living with a hearing loss; provide information and practical advice on managing tinnitus (ringing in the ears); assist you to use your hearing aid/s more effectively; provide information to you and your family about equipment to assist with daily living (with hearing loss) e.g. phones, TV devices, alerting devices; facilitate group sessions to address a range of hearing issues; and provide information about hearing loss, its impact and prevention, to professional groups, community organisations and the general public.